Danielle Fichera is proudly committed to ethical and sustainable materials and manufacturing. We’ve carefully researched the practices of fabric and garment manufacturing, understanding the deep impacts they have on the environment, individuals, and economies involved. We believe it is our responsibility to participate in fashion in a way that lessens the traditional effects on the environment and only heightens our positive effects on the people involved. With this in mind, we take a new circular approach to fashion, limiting our patterns and reusing our fabrics, rather than creating unnecessary waste season after season. We create timeless styles deliberately designed to last years rather than months. Take a moment to learn why we’ve made these decisions and how we promise to maintain our commitment to you and to our world. The Growing Negative Effects of Textile ManufacturingManufacturing textiles includes significant resource consumption and release of pollutants into the air and ocean. 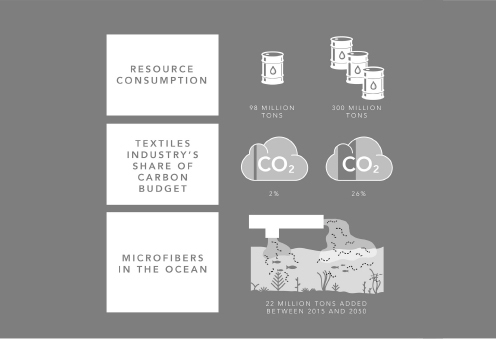 Today’s textiles economy is very wasteful, resulting in a major negative environmental footprint. Fashion and textiles are considered the second largest contributors to pollution in the world, accounting for 10% of global carbon emissions. 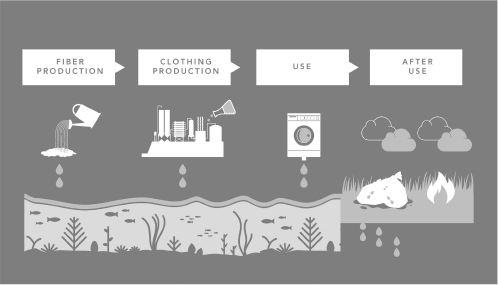 A typical non-sustainable garment can use over 8,000 toxic chemicals in its textile creation processes. Despite growing awareness, these negative impacts are expected to drastically increase by 2050. This is in part due to an exponential increase in the number of garments being produced while the number of times an item is worn has substantially decreased. While mitigation efforts are crucial to reduce the negative impacts in the short term, a significant shift is needed to create a better system of making clothes—a new textiles economy. 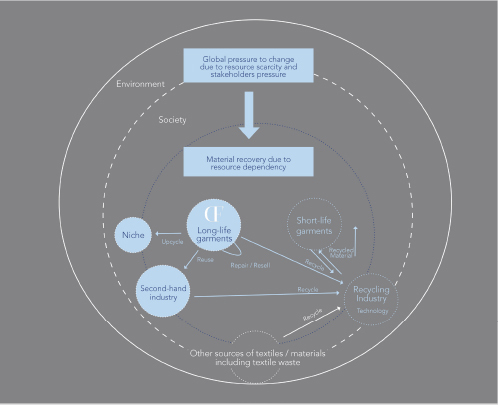 Instead of a traditional linear economy (make, use, dispose), we need to move to a circular economy in which resources are kept for a longer period of time and reused. Danielle Fichera helps create this shift in the negative impacts of fashion on our environment. Through creating high-quality garments and utilizing sustainable materials and manufacturing processes, we participate in a circular model where clothing is used for a longer period of time, reused within the second-hand industry, and repaired, if needed. We create this change through the selection of exceptional, high-quality materials that are sustainably and ethically sourced. Our promise to maintain these high standards begins and ends in New York City’s clothing district where all our items are exclusively designed and made. In each design, we carefully consider fabric selections and sourcing, heavily focusing on high-quality cotton from the esteemed Italian mill Albini Group. Not only does Albini Group create some of the world’s finest cottons while supporting the employment of women, it’s equally committed to transparency and traceability. It continues to invest in sustainable solutions, focusing on reduced chemical processing, lower emissions, alternative and renewable energy sources, and reduced water consumption. 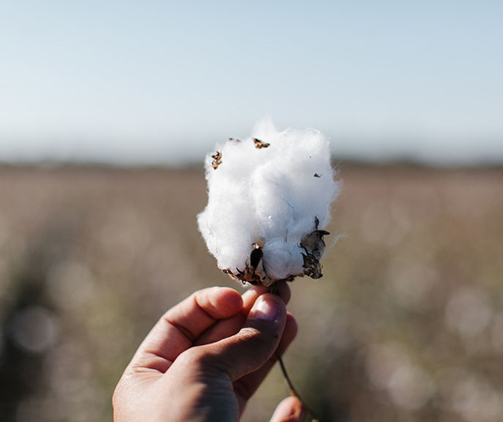 Many of our garments are made with Albini Group’s ECOtone fabric collection, created with reduced water usage and composed of organic cotton free from pesticides, insecticides, chemical fertilizers, and GMO products. Berbrand was born in 1995 to produce buttons and accessories for the fashion industry with high-quality pioneering and classic materials. It is among the first in the sector to localize the mother-of-pearl manufacturing in the same place of raw material collection. It contributed to the creation of Ecocrest, an international certification system for supply-chain traceability. With each collection, we will continue to remain transparent in our processes and selections as we seek to continually improve fashion’s overall impact on the world. Danielle Fichera has been accepted to Positive Luxury, an exclusive group of luxury brands that exhibit their commitment across five areas. The Butterfly Mark is a guarantee that the brand is committed to social and environmental sustainability.